Many women in Kenya find that when their husbands die, they are driven from their homes and left without resources or prospects. 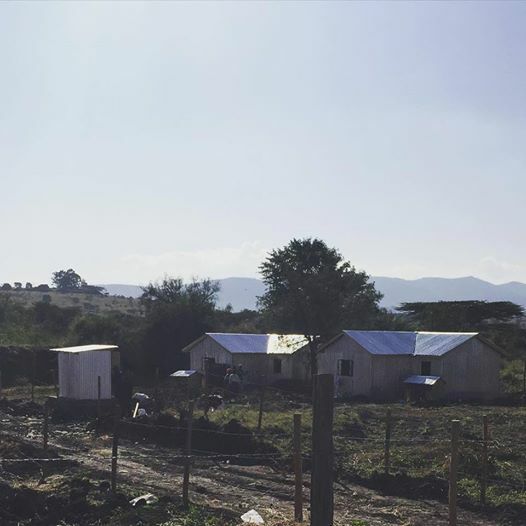 Well of Hope ships containers of shoes (26,000 pairs per container) to Kenya, sells them, and uses the money to buy land, build houses, and help widows take charge of their lives. The Rotary Club of Harrisonburg has helped with gardens and chickens, they sustain themselves and their children, using the excess for income. We've also helped buy solar lanterns, so they have light in the evening. By building these communities, they have each other, they raise their children, make friends, and have security.